As we welcome autumn in, there is still time left to go to the beach and enjoy the outdoors before any real cold weather sets in, and as always, Larnaka is brimming with things to see and do. 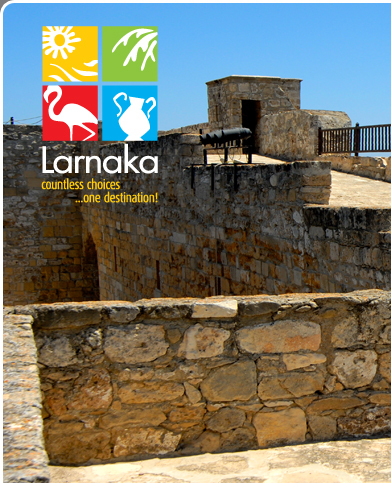 If you were looking for something new and interesting to try out then read on to find out about harvest breaks and taste tours; both a delicious way to discover – or rediscover – Larnaka and its culinary heritage. We also have a new ‘sibling’ whom we are happy to welcome to the Larnaka family, and are busy with our continuing efforts to improve the facilities and cosmetic face of the town, so stay tuned for everything that Larnaka will be offering this season! The Larnaka Tourism Board is pleased to welcome Livadia as a new member. Mr Marios Armenis, the President of the village's Community Council, is pleased to be part of the district's tourism efforts and believes that Livadia's membership will be mutually beneficial for both the village and the Larnaka district. Livadia is currently undergoing some exciting developments and changes. In its ongoing efforts to upgrade the Larnaka-Dekeleia area, the Larnaka Tourism Board has landscaped the roundabout by the Larnaka Sailing Club. This roundabout was selected for upgrading as it is the first roundabout after the refineries and heralds the start of the tourist area. The design has incorporated grass, olive trees and splashes of vibrant colour thanks to Rosmarinus and Lavender flowering plants. Following Larnaka's twinning with Venice, the Mayor of Venice – Mr Giorgio Orsoni – and a delegation made their first official visit to Larnaka on October 1-3. The culmination of the event was the unveiling ceremony of the sculpture of the 'Winged Lion of Venice' at the Larnaka Medieval Castle square. The sculpture is a gift to Larnaka from Venice as a token of the twinning. Following a two-week art-residency workshop held at the mountainous village of Lefkara (Art Diary: Lefkara), the six sculptures created with recycled materials by Cypriot and international artists will be permanently installed in public areas of the village. Furthermore, Lefkara will soon have one of the interactive touch-screen information kiosks that Larnaka has been leading the way with. With local Larnaka football team AEK in the Europa League - the first Cypriot team to gain a Europa League group berth – Larnaka is in the spotlight and attracting interest and attention for its training facilities and sporting potential. The town is already highly popular with foreign athletes and teams who visit for training holidays during the cooler months. This year's Gastronomy & Wellness Event took place in Maroni village on October 1 and was a great success. The annual event is held at a different village each year and the Ladies' Association of Rural Larnaka has been running it for eight year. The aim of the event is to promote agrotourism and introduce people to the island's authentic cuisine and produce. Harvest breaks are a wonderful way for visitors to gain an insight into the traditions of local communities abroad by joining in with the harvesting of traditional produce and later enjoying the fruits of its labour. Cyprus is famous for its olives and carobs and visitors can partake in the olive and carob harvest in Skarinou village, which is part of the Larnaka district. Taste Tours – Eat Your Way Round Larnaka! 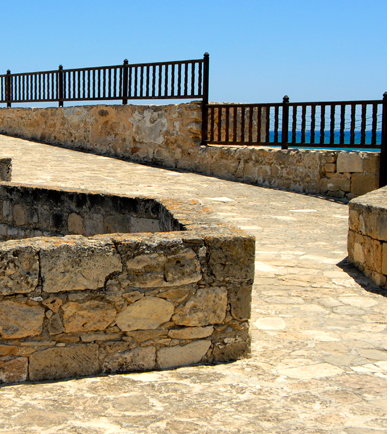 The Cyprus Taste Tour aims to show visitors the real food of the island at traditional restaurants and tavernas that tourists may not ordinarily come across. For an all-inclusive price, participants will discover the places that locals frequent during a three-four hour tour on foot, complete with five-six taste stops at various establishments to sample traditional delicacies and beverages.